Our office hours are Monday to Friday, 9:00 am- 5:00 pm. We have limited service Saturday and are closed Sunday. Sometimes same day service is available, but other times we may have to book you up to three days in advance. If you set up a fixed routine cleaning with us (weekly, bi-weekly, monthly), we just repeat the frequency as agreed on schedule. Do I need to do anything to my home before you arrive? 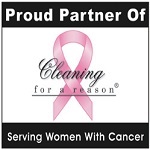 To make the cleaning as efficient as possible, we ask that you pick up clothing, toys, household items or other clutter. What if I want services not listed on your website. Please give us a call and we can discuss any extra services you might want. We love pets, so we will be happy to get to know your pets and let them get used to us. You won’t need to put them up on cleaning day, but if you have a territorial or protective animal that may be upset when we enter your home, we will discuss the matter and come up with a solution that works for all of us. We have all cleaning supplies on hand, If you have your own cleaning supplies that you would like for us to use please let us know when you schedule your appointment. We use natural, non-toxic, green cleaning products that are safe for your children and pets. We also carry other traditional products at the request of many of our clients. We can discuss which you prefer in your home. No, if you have a preference in cleaning products and would like to provide them, we will be happy to use them in your home. Is there anything you don’t clean? There are a few items. Because we care about the safety and health of our staff we can not clean anything that requires a team member to be on a ladder or that requires any kind of climbing. We also can not clean up human or pet waste of any kind. Neither carpet cleaning nor window cleaning is part of our service, but if that is needed in your home, we have many good recommendations for both carpet and window cleaning companies. Do I need to be home when our cleaners come? No, many of our customers are not home when we clean. We will discuss how to transfer your key when we set up your appointment. Clients may cancel at any time for any reason; Cancellation and re-scheduling policy requires 48-hour notice. If you do not cancel and we come to your home there may be a trip fee incurred. We accept checks, cash or major credit cards. Credit card payments must be made before the cleaning team arrives, checks or cash may be paid in advance or left at your home for us to pick up.